Deputy Attorney General Rod Rosenstein is expected to leave his post in mid-March and newly installed Attorney General William Barr will name his new deputy as soon as this week, CBS News has learned. Jeffrey Rosen, CBS News correspondent Paula Reid reports. The Department of Justice official disputes the idea that Rosenstein's departure has anything to do with FBI Director Andrew McCabe's explosive "60 Minutes" interview . An it, McCabe detailed conversations in which Rosenstein mentioned the 25th Amendment process for removing a sitting president. McCabe also said that Rosenstein was serious when he suggested he could be a wire during conversations with President Trump. Rosesntein was expected to leave after Barr arrived but was slated to stay on for a few weeks after Barr was confirmed by the Senate in order to ensure a smooth transition. Reid was previously told Rosenstein always saw his post as a two-year position. 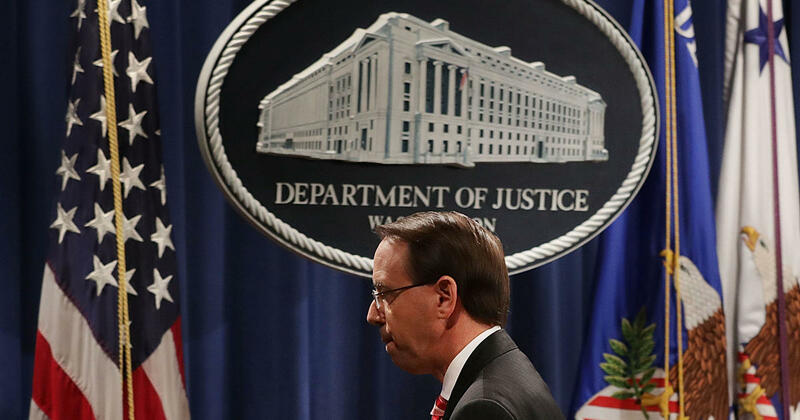 It's unclear what Rosenstein's departure means for the special counsel investigation, which he has overseen since he appointed Robert Mueller. Barr will probably inherit oversight of the investigation, though that has not been made official. Barr, however, has been critical of the probe. In June, Barr wrote a memo to Rosenstein that obtained the New York Times. In it, Barr argued that Mr. Trump should not be forced to submit to questioning by the special counsel because "Mueller's obstruction theory is fatally misconceived" and is based "on a novel and insupportable reading of the law." plans to allow the special counsel to complete the investigatio into Russian meddling in the 2016 presidential election. Referring to Mueller as a friend whom he has known for 30 years, Barr said he has confidence in Mueller's action of the probe.